EMV is Coming…And Apparently, You’re Not Ready! In a recent article published by CNBC, the topic of EMV and the liability shift approaching was debated. Consumers are ready; banks and the card brands have been mailing out chip cards to credit and debit card users, ensuring that they will not be held liable for fraud. The magic rule of liability: the party without the fraud-preventative technology will take responsibility for any data breaches and fraud that occurs. Merchants and businesses, however, don’t seem to be adopting the technology as quickly. While big chain-store retailers have upgraded their point-of sale systems and credit card terminals, the mom-and-pop stores have statistically shown that they aren’t jumping to upgrade. CNBC states that only 42% of small merchants have traded in their old equipment for new EMV ready terminals. That leaves over half of small merchants liable for fraud come October 1st. Consumers are at risk for fraud and information breaches because retailers without EMV compatible equipment are swiping EMV cards, rather than inserting them for chip-protected transactions. Should there be a data breach or other fraudulent occurrence, the merchant will be held responsible. 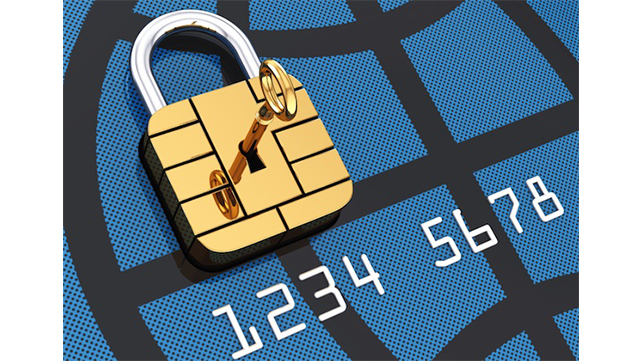 Consumers who are aware of the anti-fraud capabilities of the new chip embedded cards are beginning to demand that small retailers accommodate their new cards. Don’t be held liable for fraud! Don’t lose customers due to old technology! Update your terminals and protect your assets. One fraudulent transaction could cost you the price of your business. Receive your EMV capable terminals for FREE! Time is running out, and your business can get the protection it deserves. Contact National Merchants Association for your EMV update!